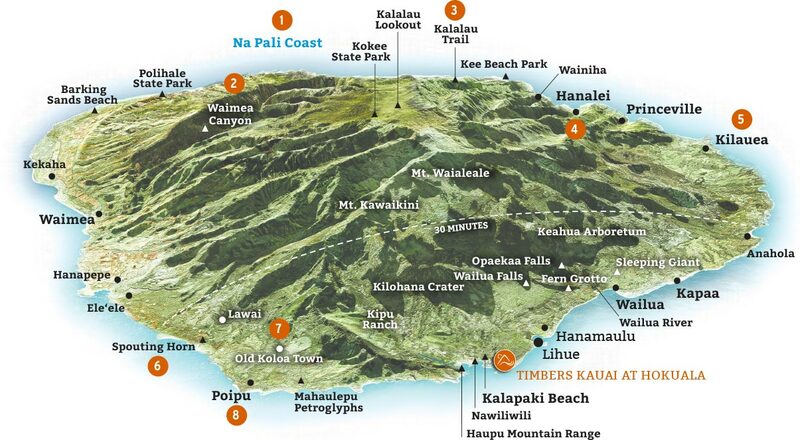 The iconic and untouched Nā Pali Coast – its 4,000-foot cliffs are accessible only by helicopter, boat or adventurous hike. There is no more spectacular meeting of mauka and makai. The Grand Canyon of the Pacific is 14 miles long, 3,600 feet deep and home to majestic waterfalls, dazzling red rocks and lush foliage, all begging to be explored. In a word, epic. Traverse from coast to valleys, over freshwater streams and through waterfalls and jungles of twisted vines, wild ginger, banana, guava and ti plants. There's a reason it is one of the most spectacular hikes on earth. A town, a bay, a beach. Postcard perfect. Calm in summer, and one of the best surf breaks in winter. Be sure to stay long enough to experience the breathtaking sunset. Leading to this beautiful bay is a rugged coast dotted with pristine beaches and a world-famous wildlife sanctuary. Here, too, is a charming town and the 52-foot historic lighthouse that has been lighting the way for mariners since 1913. When the light is just right, the sea erupts through a blowhole into a 50-foot rainbow of sea spray. The island's first sugar mill opened here in 1835. Today, the clapboard storefront hamlet is home to boutiques, ice cream and coffee shops. Kapa'a, Anahola and Po'ipu, along with your own Kalapaki Beach, are among the best in Kaua'i. You may have to share them with the turtles and monk seals that love to nap on shore. Snorkelers can catch a glimpse of the state fish, the humuhumunukunukuapua'a. 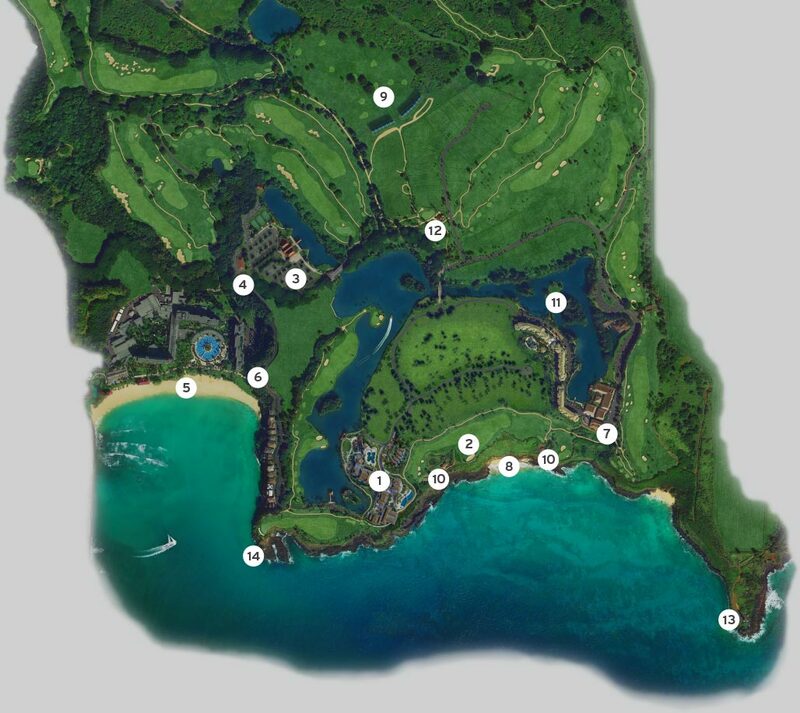 Timbers Kauai is part of the 450-acre Hokuala resort community. And with Jack Nicklaus Signature golf, Running Waters beach, winding trails, freshwater lagoons and more, this is a very nice place to be.